Mass Percent is the percentage of a particular element within a compound. We're going to say the mass per mole of an element is also known as its atomic mass. Remember, that's just the mass of all the protons and neutrons found within an element. The reason we don't care about the number of electrons is because electrons weigh a lot less than protons and neutrons. Now when it comes to the mass per mole of a compound, though, a compound is made up of more than one element combined. It could be the same element or it could be different elements combined together. We're going to say here we no longer call it atomic mass but instead we're going to call it molar or molecular mass. Now whichever case you decide to look at, whether it be the atomic mass of an element or the molar mass of a compound, both have the same exact units. The units will be grams per mole. In order to find the atomic mass of an element you must look it up on your periodic table. The total mass of a compound is the sum of each elemental atomic mass. Example #1: What is the total mass of each of the following compounds? Now mass percent is just simply the mass of an element that's found within a given compound. Now the formula is just simply mass percent equals mass component divided by the total mass of the compound times 100. Example #2: What is the percentage of carbon in sodium hydrogen carbonate, NaHCO3? In order to calculate the molecular mass or weight of a compound you must look up the atomic mass or weight of each element. Example #3: A sample of toothpaste contains tin (II), SnF2. Analysis of a 5.25 g sample contains 8.77 x 10-3 g of F. What is the percentage of tin (II) fluoride in the sample? To go from the atomic mass of an element to the molecular mass of a compound you must use stoichiometric relationships. Practice: Hemoglobin contains 0.33% iron and has a molecular weight of 68 kg. How many iron atoms are in each molecule of hemoglobin? A sample is composed of a mixture of NaBr and CuSO4.5H2O. A chemist decided to analyze the mixture by dehydrating it by heating it to 120°C for 12 hours which removed all of the water present. If a 6.523 sample weighed 4.967 g after dehydration, what is the percentage of NaBr in the original hydrated sample? a) 22.4 b) 33.9 c) 39.2 d) 79.7 e) none of the answers is within 5% of the correct answer. Calculate the mass percent composition of sulfur in Al 2(SO4)3. The main source of copper on earth is a mineral called chalcocite, which is copper(I) sulfide. a) What is the formula of this compound? _________ b) What is the mass percent of copper in this compound? A 1.28 g sample of copper is heated with sulfur to produce 1.6 g copper sulfide. Calculate the mass percentages of copper and sulfur in the compound. Suppose you are working for a pharmaceutical company, and your boss has tasked you with identifying the contents of a bottle containing an unknown white crystalline compound. You have narrowed down the possibilities to sodium carbonate (Na2CO3) and sodium oxalate (Na2C2O4). Sodium carbonate is relatively harmless (a common ingredient in commercial water softeners), but sodium oxalate is extremely toxic to humans; it is therefore very important that you properly identify the unknown compound. You perform an experiment, and your results show the compound is about 43% sodium by mass. Use this information to identify your compound. What is the percent mass of H2O in Epsom salt, CaSO4·7H2O? What is the % of carbon by mass in Calcium Cyanide Ca(CN) 2? A. 13.039 % B. 17.541 % C. 26.078 % D. 30.412 % E. None of these choices are correct. Copper (II) fluoride contains 37.42% F by mass.Use this percentage to calculate the mass of fluorine (in g) contained in 55.5 g of copper (II) fluoride. Common brass is a copper and zinc alloy containing 37.0% zinc by mass and having a density of 8.48 g/cm3. A fitting composed of common brass has a total volume of 120.5 cm3 .How many atoms of zinc does the fitting contain? A 67.2 g sample of a gold and palladium alloy contains 3.20×1023 atoms .What is the mass percentage of the gold in the alloy? A 67.2 g sample of a gold and palladium alloy contains 3.20×1023 atoms .What is the mass percentage of the palladium in the alloy? A phosphorus compound that contains 34.00% phosphorus by mass has the formula X3P2.Identify the element X. A particular brand of beef jerky contains 5.51×10−2% sodium nitrite by mass and is sold in an 8.00-oz bag.What mass of sodium does the sodium nitrite contribute to sodium content of the bag of beef jerky? Phosphorus is obtained primarily from ores containing calcium phosphate.If a particular ore contains 57.1 % calcium phosphate, what minimum mass of the ore must be processed to obtain 1.00 kg of phosphorus? A mixture of NaCl and NaBr has a mass of 2.05 g and is found to contain 0.75 g of Na.What is the mass of NaBr in the mixture? Because of increasing evidence of damage to the ozone layer, chlorofluorocarbon (CFC) production was banned in 1996. However, many older cars still have air conditioners that use CFC-12 (CF2C2). These air conditioners are recharged from stockpiled supplies of CFC-12. Suppose that 100 million automobiles each contain 1.2 kg of CFC-12 and leak 26 % of their CFC-12 into the atmosphere per year.How much chlorine, in kg, is added to the atmosphere each year due to these air conditioners? One of the best-selling light, or low-calorie, beers is 4.4 % alcohol by volume and a 12-oz serving contains 110 Calories; remember: 1 Calorie = 1000 cal = 1 kcal. To estimate the percentage of Calories that comes from the alcohol, consider the following questions. If 4.4 % of the total volume is ethanol and the density of ethanol is 0.789 g/mL, what mass of ethanol does a 12-oz serving of light beer contain? A compound whose empirical formula is XF3 consists of 65 % F by mass.What is the atomic mass of X? A compound isolated from the rind of lemons is found to be 88.14 % carbon and 11.86 % hydrogen by mass.How many grams of C are there in a 100.1-g sample of this substance? A compound isolated from the rind of lemons is found to be 88.14 % carbon and 11.86 % hydrogen by mass.How many grams of H are there in a 100.1-g sample of this substance? A compound isolated from the rind of lemons is found to be 88.14 % carbon and 11.86 % hydrogen by mass.How many moles of C? A compound isolated from the rind of lemons is found to be 88.14 % carbon and 11.86 % hydrogen by mass.How many moles of H? Silver chloride, often used in silver plating, contains 75.27% Ag.Calculate the mass of silver chloride required to plate 215 mg of pure silver. Glycine, an amino acid used by organisms to make proteins, is represented by the molecular model below. Calculate the percent nitrogen by mass in glycine. The effectiveness of nitrogen fertilizers depends on both their ability to deliver nitrogen to plants and the amount of nitrogen they can deliver. Four common nitrogen-containing fertilizers are ammonia, ammonium nitrate, ammonium sulfate, and urea [(NH2) 2CO)]. Rank these fertilizers in terms of the mass percentage nitrogen they contain. When 13.63 g (about one tablespoon) of table sugar (sucrose, C12H22O11) is dissolved in 241.5 mL of water (density 0.997 g/mL), the final volume is 250.0 mL (about one cup).What is the mass percent of the table sugar? The nitrogen in sodium nitrate and in ammonium sulfate is available to plants as fertilizer. Which is the more economical source of nitrogen, a fertilizer containing 30.0% sodium nitrate by weight and costing $9.00 per 100 lb or one containing 20.0% ammonium sulfate by weight and costing $8.10 per 100 lb. Most fertilizers consist of nitrogen-containing compounds such as NH3, CO(NH2 )2, NH4 NO3, and (NH4 )2 SO4. Plants use the nitrogen content in these compounds for protein synthesis.Calculate the mass percent composition of nitrogen in NH3. Most fertilizers consist of nitrogen-containing compounds such as NH3, CO(NH2 )2, NH4 NO3, and (NH4 )2 SO4. Plants use the nitrogen content in these compounds for protein synthesis.Which fertilizer has the highest nitrogen content? Most fertilizers consist of nitrogen-containing compounds such as NH3, CO(NH2 )2, NH4 NO3, and (NH4 )2 SO4. Plants use the nitrogen content in these compounds for protein synthesis.Calculate the mass percent composition of nitrogen in CO(NH2 )2. Most fertilizers consist of nitrogen-containing compounds such as NH3, CO(NH2 )2, NH4 NO3, and (NH4 )2 SO4. Plants use the nitrogen content in these compounds for protein synthesis.Calculate the mass percent composition of nitrogen in NH4 NO3. Despite Dalton’s laws, it is now known that many ionic compounds do not always contain atoms in small integer ratios. For example, a sample of iron(II) oxide may, in fact, contain a significant amount of Fe3+ in addition to Fe2+. This is an example of a nonstoichiometric compound. A sample of iron(II) oxide is found to be 75.01 % iron by mass.Determine the percentage of Fe3+ ions in the sample. A metal (M) forms a compound with the formula MCl3.If the compound contains 65.57 % Cl by mass, what is the identity of the metal? Most fertilizers consist of nitrogen-containing compounds such as NH3, CO(NH2 )2, NH4 NO3, and (NH4 )2 SO4. Plants use the nitrogen content in these compounds for protein synthesis.Calculate the mass percent composition of nitrogen in (NH4 )2 SO4. A metal (M) forms an oxide with the formula M2 O.If the oxide contains 16.99 % O by mass, what is the identity of the metal? Silver nitrate solutions are often used to plate silver onto other metals.What is the maximum amount of silver (in grams) that can be plated out of 4.8 L of an AgNO3 solution containing 3.4 % Ag by mass? Assume that the density of the solution is 1.01 g/mL. A mixture of CaCO3 and (NH4 )2 CO3 is 61.1 % CO3 by mass.Find the mass percent of CaCO3 in the mixture. A sulfuric acid solution containing 571.5 g of H2 SO4 per liter of aqueous solution has a density of 1.329 g/cm3.Calculate the mass percentage of H2 SO4 in this solution. A particular coal contains 2.55% sulfur by mass. When the coal is burned, it produces SO2 emissions which combine with rainwater to produce sulfuric acid.Use the formula of sulfuric acid to calculate the mass percent of S in sulfuric acid. Without doing any calculations, arrange the elements in CaCO3 in order of decreasing mass percent composition. Calculate the number of moles of solute present in each of the following aqueous solutions.125.0 g of a solution that is 6.50% glucose (C6 H12 O6 ) by mass. What is the mass percentage of iodine (I2) in a solution containing 4.5×10−2 mol I2 in 125 g of CCl4? Without doing any calculations, list the elements in C6H6O in order of decreasing mass percent composition. Three common hydrocarbons that contain four carbons are listed here, along with their standard enthalpies of formation: Hydrocarbon Formula Hf(kJ/mol) 1,3-Butadiene C4 H6 (g) 111.9 1-Butene C4 H8 (g) 1.2 n-Butane C4 H10 (g) -124.7 For 1,3-Butadien determine the percentage of hydrogen by mass. Three common hydrocarbons that contain four carbons are listed here, along with their standard enthalpies of formation: Hydrocarbon Formula Hf(kJ/mol) 1,3-Butadiene C4 H6 (g) 111.9 1-Butene C4 H8 (g) 1.2 n-Butane C4 H10 (g) -124.7 For 1-Butene determine the percentage of hydrogen by mass. Three common hydrocarbons that contain four carbons are listed here, along with their standard enthalpies of formation: Hydrocarbon Formula Hf(kJ/mol) 1,3-Butadiene C4 H6 (g) 111.9 1-Butene C4 H8 (g) 1.2 n-Butane C4 H10 (g) -124.7 For n-Butane determine the percentage of hydrogen by mass. The density of air at sea level and 98 °F is about 1.20 g/L. The volume of the adult human lungs in the expanded state is about 6.0 L. Given that air is 20% oxygen by mass, compute the number of grams of oxygen in your lungs. Iron from the earth is in the form of iron ore. Common ores include Fe 2O3 (hematite), Fe3O4 (magnetite), and FeCO3 (siderite). Calculate the mass percent composition of nitrogen in each of these iron ores. Which one has the highest iron content? The molecular weight of ethanol (C2H5OH) is 46.1 and the density of absolute (100%) ethanol = 0.79 g/mL. The legal limit for a driver’s blood alcohol is 50 mg of ethanol per 100 mL of blood (referred to as a blood alcohol content (BAC) of 0.05%). And a bottle of wine is 14% ethanol by volume. How much wine (standard serving size = 100 mL) could a 75 kg person drink and remain under the legal limit? The blood alcohol content will be equivalent to the alcohol content in the total ‘water’ component of the human body. A 75 kg person contains about 40 L of ‘water’. Ignore the metabolism, and assume the water content of the person remains constant. Copper(II) fluoride contains 37.42% F by mass. Calculate the mass of fluorine (in g) contained in 55.5 g of copper(II) fluoride. Silver chloride, often used in silver plating, contains 75.27% Ag by mass. Calculate the mass of silver chloride required to plate 155 mg of pure silver. Calculate the mass of HCl (molar mass = 36.46 g/mol) in 5.00 mL of an HCl solution (density = 1.19 g/mL) that is 37.23% by mass HCl. Anabolic steroids are performance enhancement drugs whose use has been banned from most major sporting activities. One anabolic steroid is fluoxymesterone (C20H29FO3). Calculate the percent composition by mass of fluoxymesterone. Fungal laccase, a blue protein found in wood-rotting fungi, is 0.390% Cu by mass. If a fungal laccase molecule contains 4 copper atoms, what is the molar mass of fungal laccase? Hemoglobin is the protein that transports oxygen in mammals. Hemoglobin is 0.347% Fe by mass, and each hemoglobin molecule contains four iron atoms. Calculate the molar mass of hemoglobin. What is the mass percentage of each element in the compound Al 2O3? Calculate the following:Mass % of O in sodium dihydrogen phosphate heptahydrate. A solution was prepared by dissolving 39.0 g of KCl in 225 mL of water. Calculate the mass percent of KCl in the solution. Magnesium carbonate (MgCO3) and calcium carbonate (CaCO3) both decompose when heated, forming CO2 gas and the corresponding oxides. MgCO3(s) → CO2(g) + MgO(s) CaCO3(s) → CO2(g) + CaO(s) When a particular mixture of MgCO3 and CaCO3 is heated, it releases 47% of its mass as CO 2, so that the oxide products have 53% of the mass of the original sample. What mass percentage of MgCO3 was present in the original mixture? A 5.00 g sample of a gas mixture, consisting of methane, CH4, and ethylene, C2H4, was burned in excess oxygen, yielding 14.5 g of CO2 and some amount of water as products. What mass percent of the sample was ethylene? HINT: Write and balance the chemical equation for each reaction taking place before you start working on the problem. Ascorbic acid (vitamin C) contains 40.92% carbon, 4.58% hydrogen, and 54.50% oxygen by mass. Assume a 100-g sample of ascorbic acid.How many moles of carbon, hydrogen, and oxygen are present in a 100-g sample of ascorbic acid? Many cereals are made with high moisture content so that the cereal can be formed into various shapes before it is dried. A cereal product containing 58% H2O by mass is produced at the rate of 1000 kg/hr. A sample of LSD (D-lysergic acid diethylamide, C24H30N3O) is added to some table salt (sodium chloride) to form a mixture. Given that a 1.00-g sample of the mixture undergoes combustion to produce 1.20 g of CO2, what is the mass percentage of LSD in the mixture? Hemoglobin is 6.0% heme (C34H32FeN4O4) by mass. To remove the heme, hemoglobin is treated with acetic acid and NaCl, which forms hemin (C34H32N4O4FeCl). A blood sample from a crime scene contains 0.65 g of hemoglobin. (c) How many grams of Fe are in the sample? Hemoglobin, the oxygen-carrying protein in red blood cells, has four iron atoms per molecule and contains 0.340% iron by mass. Calculate the molar mass of hemoglobin. A typical formulation for window glass is 75% SiO2, 15% Na2O, and 10.% CaO by mass. What masses of sand (SiO2), sodium carbonate, and calcium carbonate must be combined to produce 1.00 kg of glass after carbon dioxide is driven off by thermal decomposition of the carbonates? Hydrocarbon mixtures are used as fuels. (a) How many grams of CO 2(g) are produced by the combustion of 200. g of a mixture that is 25.0% CH4 and 75.0% C3H8 by mass? The active compound in Pepto-Bismol contains C, H, O, and Bi.c) Complete and balance the acid-base reaction between bismuth(III) hydroxide and salicylic acid (HC7H5O3), which is used to form this compound. d) A dose of Pepto-Bismol contains 0.600 mg of active ingredient. If the yield of the reaction in part (c) is 88.0%, what mass (in mg) of bismuth(III) hydroxide is required to prepare one dose? The space shuttle environmental control system handles excess CO2 (which the astronauts breathe out; it is 4.0% by mass of exhaled air) by reacting it with lithium hydroxide, LiOH, pellets to form lithium carbonate, Li2CO3, and water. If there are seven astronauts on board the shuttle, and each exhales 20. L of air per minute, how long could clean air be generated if there were 25,000 g of LiOH pellets available for each shuttle mission? Assume the density of air is 0.0010 g/mL. Manganese is a key component of extremely hard steel. The element occurs naturally in many oxides. A 542.3-g sample of a manganese oxide has an Mn/O ratio of 1.00/1.42 and consists of braunite (Mn2O3) and manganosite (MnO). (a) How many grams of braunite and of manganosite are in the ore? The percent by mass of nitrogen for a compound is found to be 46.7%. Which of the following could be this species? Calculate the number of moles of solute present in 80.0 g of an aqueous solution that is 1.60 % sucrose (C12H22O11) by mass. Fungal laccase, a blue protein found in wood-rotting fungi, is 0.390% Cu by mass. If a fungal laccase molecule contains four copper atoms, what is the molar mass of fungal laccase? Copper(I) iodide (CuI) is often added to table salt as a dietary source of iodine. How many moles of CuI are contained in 1.00 lb (454 g) of table salt containing 0.0100% CuI by mass? Citric acid (below) is concentrated in citrus fruits and plays a central metabolic role in nearly every animal and plant cell. (b) How many moles of citric acid are in 1.50 qt of lemon juice (d=1.09 g/mL) that is 6.82% citric acid by mass? Many cereals are made with high moisture content so that the cereal can be formed into various shapes before it is dried. A cereal product containing 58% H2O by mass is produced at the rate of 1000. kg/h. What mass of water must be evaporated per hour if the final product contains only 20.% water? A compound containing only sulfur and nitrogen is 69.6% S by mass; the molar mass is 184 g/mol. What are the empirical and molecular formulas of the compound? Determine the molecular formula of a compound that contains 26.7% P, 12.1% N, and 61.2% Cl, and has a molar mass of 580 g/mol. Vitamin B12, cyanocobalamin, is essential for human nutrition. It is concentrated in animal tissue but not in higher plants. Although nutritional requirements for the vitamin are quite low, people who abstain completely from animal products may develop a deficiency anemia. Cyanocobalamin is the form used in vitamin supplements. It contains 4.34% cobalt by mass. Calculate the molar mass of cyanocobalamin, assuming that there is one atom of cobalt in every molecule of cyanocobalamin. Some bismuth tablets, a medication used to treat upset stomachs, contain 262 mg of bismuth subsalicylate, C7H5BiO4, per tablet. Assuming two tablets are digested, calculate the mass of bismuth consumed. Maleic acid is an organic compound composed of 41.39% C, 3.47% H, and the rest oxygen. If 0.129 mole of maleic acid has a mass of 15.0 g, what are the empirical and molecular formulas of maleic acid? A binary compound between an unknown element E and hydrogen contains 91.27% E and 8.73% H by mass. If the formula of the compound is E3H8, calculate the atomic mass of E.
What mass (in grams) of iron(III) oxide contains 58.8 g of iron? Iron(III) oxide is 69.94 % iron by mass. If someone consumes 23 g of sodium chloride per day, what mass (in grams) of sodium does that person consume? Sodium chloride is 39 % sodium by mass. Solar winds composed of free protons, electrons, and α particles bombard Earth constantly, knocking gas molecules out of the atmosphere. In this way, Earth loses about 3.0 kg of matter per second. It is estimated that the atmosphere will be gone in about 50 billion years. Use this estimate to calculate the amount (mol) of nitrogen, which makes up 75.5 mass % of the atmosphere. The American Dental Association recommends that an adult female should consume 3.0 mg of fluoride (F–) per day to prevent tooth decay. If the fluoride is consumed as sodium fluoride (45.24% F), what amount of sodium fluoride contains the recommended amount of fluoride? Commercial brass, an alloy of Zn and Cu, reacts with hydrochloric acid as follows:Zn (s) + 2 HCl (aq) → ZnCl 2 (aq) + H2 (g) (Cu does not react with HCl. )When 0.5065 g of a certain brass alloy is reacted with excess HCl, 0.0985 g ZnCl 2 is eventually isolated. How could this result be checked without changing the above procedure? Ammonium dihydrogen phosphate, formed from the reaction of phosphoric acid with ammonia, is used as a crop fertilizer as well as a component of some fire extinguishers. (b) How much ammonia is incorporated into 100 g of the compound? Hemoglobin, a protein in red blood cells, carries O 2 from the lungs to the body’s cells. Iron (as ferrous ion, Fe2+) makes up 0.33 mass % of hemoglobin. If the molar mass of hemoglobin is 6.8×104 g/mol, how many Fe2+ ions are in one molecule? Hemoglobin is 6.0% heme (C34H32FeN4O4) by mass. To remove the heme, hemoglobin is treated with acetic acid and NaCl, which forms hemin (C34H32N4O4FeCl). A blood sample from a crime scene contains 0.65 g of hemoglobin. (a) How many grams of heme are in the sample? The iodide ion is a dietary mineral essential to good nutrition. In countries where potassium iodide is added to salt, iodine deficiency or goiter has been almost completely eliminated. The recommended daily allowance (RDA) for iodine is 150 µg/day. How much potassium iodide (76.45% I) should be consumed to meet the RDA? Nitrogen forms more oxides than any other element. The percents by mass of N in three different nitrogen oxides are (I) 46.69%, (II) 36.85%, and (III) 25.94%. For each compound, determine (b) the number of grams of oxygen per 1.00 g of nitrogen. Hemoglobin is 6.0% heme (C34H32FeN4O4) by mass. To remove the heme, hemoglobin is treated with acetic acid and NaCl, which forms hemin (C34H32N4O4FeCl). A blood sample from a crime scene contains 0.65 g of hemoglobin. (b) How many moles of heme are in the sample? Calculate the mass percentage of NaCl in a solution containing 1.50 g of NaCl in 50.0 g of water. A substance X2Z has the composition (by mass) of 40.0% X and 60.0% Z. What is the composition (by mass) of the compound XZ2? Hemoglobin is 6.0% heme (C34H32FeN4O4) by mass. To remove the heme, hemoglobin is treated with acetic acid and NaCl, which forms hemin (C34H32N4O4FeCl). A blood sample from a crime scene contains 0.65 g of hemoglobin. (d) How many grams of hemin could be formed for a forensic chemist to measure? Calculate the mass percent composition of each constituent element of potassium chromate. Calculate the mass percent composition of each constituent element of lead(II) phosphate. 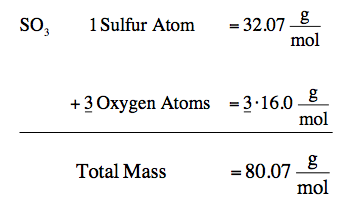 Calculate the mass percent composition of each constituent element of sulfurous acid. Calculate the mass percent composition of each constituent element of cobalt(II) bromide. The seven most abundant ions in seawater make up more than 99% by mass of the dissolved compounds. Here are their abundances in units of mg ion/kg seawater: chloride 18,980; sodium 10,560; sulfate 2650; magnesium 1270; calcium 400; potassium 380; hydrogen carbonate 140. (a) What is the mass % of each ion in seawater? The seven most abundant ions in seawater make up more than 99% by mass of the dissolved compounds. Here are their abundances in units of mg ion/kg seawater: chloride 18,980; sodium 10,560; sulfate 2650; magnesium 1270; calcium 400; potassium 380; hydrogen carbonate 140. (b) What percent of the total mass of ions is represented by sodium ions? Calculate the mass percent composition of each constituent element of perchloric acid. Calculate the mass percent composition of each constituent element of phosphorus pentachloride. The seven most abundant ions in seawater make up more than 99% by mass of the dissolved compounds. Here are their abundances in units of mg ion/kg seawater: chloride 18,980; sodium 10,560; sulfate 2650; magnesium 1270; calcium 400; potassium 380; hydrogen carbonate 140. (c) How does the total mass % of alkaline earth metal ions compare with the total mass % of alkali metal ions? Calculate the mass percent composition of each constituent element of nitrogen triiodide. The seven most abundant ions in seawater make up more than 99% by mass of the dissolved compounds. Here are their abundances in units of mg ion/kg seawater: chloride 18,980; sodium 10,560; sulfate 2650; magnesium 1270; calcium 400; potassium 380; hydrogen carbonate 140. (d) Which make up the larger mass fraction of dissolved components, anions or cations? Calculate the mass percent composition of each constituent element of carbon dioxide. Succinic acid (below) is an important metabolite in biological energy production. Give the molecular formula, molecular mass, and the mass percent of each element in succinic acid. A dioxin-contaminated water source contains 0.086 % dioxin by mass. How much dioxin is present in 2.6 L of this water? Assume a density of 1.00 g/mL. Fluorite, a mineral of calcium, is a compound of the metal with fluorine. Analysis shows that a 2.76-g sample of fluorite contains 1.42 g of calcium. Calculate the (c) mass percents of calcium and fluorine in fluorite. Galena, a mineral of lead, is a compound of the metal with sulfur. Analysis shows that a 2.34-g sample of galena contains 2.03 g of lead. Calculate the (c) mass percents of lead and sulfur in galena. Hydrocarbon mixtures are used as fuels. (b) A 252-g gaseous mixture of CH 4 and C3H8 burns in excess O 2, and 748 g of CO2 gas is collected. What is the mass % of CH 4 in the mixture? Nitrogen (N), phosphorus (P), and potassium (K) are the main nutrients in plant fertilizers. By industry convention, the numbers on a label refer to the mass percents of N, P2O5, and K2O, in that order. Calculate the N/P/K ratio of a 30/10/10 fertilizer in terms of moles of each element, and express it as x/y/1.0. List the elements in the compound CF2Cl2 in order of decreasing mass percent composition. Manganese is a key component of extremely hard steel. The element occurs naturally in many oxides. A 542.3-g sample of a manganese oxide has an Mn/O ratio of 1.00/1.42 and consists of braunite (Mn2O3) and manganosite (MnO). (b) What is the Mn3+/Mn2+ ratio in the ore? The human body excretes nitrogen in the form of urea, NH2CONH2. The key step in its biochemical formation is the reaction of water with arginine to produce urea and ornithine:(a) What is the mass % of nitrogen in urea, in arginine, and in ornithine? Calculate the percent composition by mass of the following compound that is an important starting material for synthetic polymers: C3H4O2 (acrylic acid, from which acrylic plastics are made). Nitrogen (N), phosphorus (P), and potassium (K) are the main nutrients in plant fertilizers. By industry convention, the numbers on a label refer to the mass percents of N, P2O5, and K2O, in that order.What mass percents of ammonium sulfate, ammonium hydrogen phosphate, and potassium chloride would you use to prepare 10/10/10 plant fertilizer? Calculate the percent composition by mass of the following compound that is an important starting material for synthetic polymers: C4H6O2 (methyl acrylate, from which Plexiglas is made). A solution is made containing 21.2 g phenol (C6H5OH) in 450 g ethanol (CH3 CH2OH).Calculate the mass percent of phenol. In 1987 the first substance to act as a superconductor at a temperature above that of liquid nitrogen (77 K) was discovered. The approximate formula of this substance is YBa2Cu3O7. Calculate the percent composition by mass of this material. Describe how you would prepare each of the following aqueous solutions.Give the mass of the solute and mass of the solvent for 1.30 L of a solution that is 16.0 % of Pb(NO3 )2 by mass (the density of the solution is 1.16 g/mL), starting with solid solute. When carbon-containing compounds are burned in a limited amount of air, some CO(g) as well as CO2(g) is produced. A gaseous product mixture is 35.0 mass % CO and 65.0 mass % CO2. What is the mass % of C in the mixture? Acetic acid (HC2H3O2) is the active ingredient in vinegar. Calculate the mass percent composition of oxygen in acetic acid. Calculate the mass percent composition of sodium in sodium oxide. Express the composition of formaldehyde, CH2O, as the mass percents of its elements. Express the composition of glucose, C6H12O6, as the mass percents of its elements. Express the composition of acetic acid, HC 2H3O2, as the mass percents of its elements. Determine the percent ammonia, NH3, in Co(NH3)6Cl3, to three significant figures. Hydrogen-containing fuels have a “fuel value” based on their mass % H. Rank the following compounds from highest fuel value to lowest: ethane, propane, benzene, ethanol, cetyl palmitate (whale oil, C32H64O2). Nitrogen monoxide (NO) is a bioactive molecule in blood. Low NO concentrations cause respiratory distress and the formation of blood clots. Doctors prescribe nitroglycerin, C3H5N3O9, and isoamyl nitrate, (CH3)2CHCH2CH2ONO2, to increase the blood level of NO. If each compound releases one molecule of NO per atom of N it contains, calculate the mass percent of NO in each. The anticancer drug Platinol (cisplatin), Pt(NH3)2Cl2, reacts with a cancer cell’s DNA and interferes with its growth. (a) What is the mass % of platinum (Pt) in Platinol? A potassium bromide solution is 7.55% potassium bromide by mass and its density is 1.03 g/mL. What mass of potassium bromide is contained in 35.8 mL of the solution? A sample of LSD (D-lysergic acid diethylamide, C24H30N3O) is added to some table salt (sodium chloride) to form a mixture. Given that a 1.00-g sample of the mixture undergoes combustion to produce 1.20 g of CO2, what is the mass percent of LSD in the mixture? Calculate the following:Mass % of Mn in potassium permanganate. Calculate the following:Mass fraction of C in cesium acetate. Calculate the following:Mass fraction of Cl in calcium chlorate. Calculate the following:Mass fraction of N in dinitrogen trioxide. Iron is mined from the earth as iron ore. Common ores include Fe2 O3 (hematite), Fe3 O4 (magnetite), and FeCO3 (siderite).Calculate the mass percent composition of iron for FeCO3 (siderite). Iron is mined from the earth as iron ore. Common ores include Fe2 O3 (hematite), Fe3 O4 (magnetite), and FeCO3 (siderite).Which ore has the highest iron content? Seawater is approximately 4.0% by mass dissolved ions, 85% of which are from NaCl. (a) Find the mass % of NaCl in seawater. An iron ore sample contains Fe2O3 plus other impurities. A 752-g sample of impure iron ore is heated with excess carbon, producing 453 g of pure iron by the following reaction:Fe2O3 (s) + 3 C (s) → 2 Fe (s) + 3 CO (g)What is the mass percent of Fe 2O3 in the impure iron ore sample? Assume that Fe 2O3 is the only source of iron and that the reaction is 100% efficient. Iron is mined from the earth as iron ore. Common ores include Fe2 O3 (hematite), Fe3 O4 (magnetite), and FeCO3 (siderite).Calculate the mass percent composition of iron for Fe2O3 (hematite). Iron is mined from the earth as iron ore. Common ores include Fe2 O3 (hematite), Fe3 O4 (magnetite), and FeCO3 (siderite).Calculate the mass percent composition of iron for Fe3O4 (magnetite). What is the percentage of nitrogen, by mass, in calcium nitrate? Seawater is approximately 4.0% by mass dissolved ions, 85% of which are from NaCl. (b) Find the mass % of Na+ ions and of Cl− ions in seawater. High-temperature superconducting oxides hold great promise in the utility, transportation, and computer industries. (b) Another common superconducting oxide is made by heating a mixture of barium carbonate, copper(II) oxide, and yttrium(III) oxide, followed by further heating in O2: 4BaCO3(s) + 6CuO(s) + Y2O3(s) ⟶ 2YBa2Cu3O6.5(s) + 4CO2(g) 2YBa2Cu3O6.5(s) + 1/2 O2(g) ⟶2YBa2Cu3O7(s) When equal masses of the three reactants are heated, which reactant is limiting? (c) After the product in part (b) is removed, what is the mass % of each reactant in the remaining solid mixture? Commercial brass, an alloy of Zn and Cu, reacts with hydrochloric acid as follows:Zn (s) + 2 HCl (aq) → ZnCl 2 (aq) + H2 (g) (Cu does not react with HCl. )When 0.5065 g of a certain brass alloy is reacted with excess HCl, 0.0985 g ZnCl 2 is eventually isolated. What is the composition of the brass by mass? Acetaminophen (below) is a popular nonaspirin pain reliever. What is the mass % of each element in acetaminophen? The effectiveness of a nitrogen fertilizer is determined mainly by its mass % N. Rank the following fertilizers, most effective first: potassium nitrate; ammonium nitrate; ammonium sulfate; urea, CO(NH2)2. Fluorine is so reactive that it form compound with several of the noble gases. (c) Fluorides of xenon can be formed by direct reaction of the elements at high pressure and temperature. Under conditions that produce only the tetra- and hexafluorides, 1.85×10−4 mol of xenon reacted with 5.00×10−4 mol of fluorine, and 9.00×10−6 mol of xenon was found in excess. What are the mass percents of each xenon fluoride in the product mixture? Ammonium dihydrogen phosphate, formed from the reaction of phosphoric acid with ammonia, is used as a crop fertilizer as well as a component of some fire extinguishers. (a) What are the mass percentages of N and P in the compound? An aqueous KNO3 solution is made using 77.6 g of KNO3 diluted to a total solution volume of 1.96 L. (Assume a density of 1.05 g/mL for the solution) Calculate the mass percent of the solution. Magnesium oxide (MgO) forms when the metal burns in air. (a) If 1.25 g of MgO contains 0.754 g of Mg, what is the mass ratio of magnesium to magnesium oxide? Zinc sulfide (ZnS) occurs in the zincblende crystal structure. (a) If 2.54 g of ZnS contains 1.70 g of Zn, what is the mass ratio of zinc to zinc sulfide? Dolomite is a carbonate of magnesium and calcium. Analysis shows that 7.81 g of dolomite contains 1.70 g of Ca. Calculate the mass percent of Ca in dolomite. On the basis of the mass percent of Ca, and neglecting all other factors, which is the richer source of Ca, dolomite or fluorite (see Problem 2.20)? Propenoic acid, C3H4O2, is a reactive organic liquid that is used in the manufacturing of plastics, coatings, and adhesives. An unlabeled container is thought to contain this liquid. A 0.376-g sample is combusted to produce 0.202 g of water and 0.427 g of carbon dioxide.Calculate the theoretical mass % of C and H in propenoic acid. The mass percent of sulfur in a sample of coal is a key factor in the environmental impact of the coal because the sulfur combines with oxygen when the coal is burned and the oxide can then be incorporated into acid rain. Which of the following coals would have the smallest environmental impact? Propenoic acid, C3H4O2, is a reactive organic liquid that is used in the manufacturing of plastics, coatings, and adhesives. An unlabeled container is thought to contain this liquid. A 0.376-g sample is combusted to produce 0.202 g of water and 0.427 g of carbon dioxide.Calculate the experimental mass % of C and H in the unknown liquid used in the experiment. A solution is prepared by dissolving 50.5 g sucrose (C12H22O11) in 0.404 kg of water. The final volume of the solution is 355 mL. For this solution, calculate percent by mass. What is the concentration of sodium in the soft drink in mass percent? Express your answer using two significant figures. Determine amount of potassium chloride in each solution.A. 18.1 g of a solution containing 1.10% KCl by mass. Express your answer using three significant figures. B. 26.2 kg of a solution containing 20.2% KCl by mass. Express your answer using three significant figures.C. 40 mg solution containing 15% KCI by mass. Express your answer using two significant figures. An oxybromate compound, KBrOx, where x is unknown, is analyzed and found to contain 43.66% Br. What is the value of x? Express your answer as an integer. A compound whose empirical formula is XF3 consists of 65 % F by mass. What is the atomic mass of X? Determine the amount of potassium chloride in each solution. 20.1 g of a solution containing 1.04 % KCl by mass. Express your answer using three significant figures. 29.2 kg of a solution containing 19.7 % KCl by mass. Express your answer using three significant figures. What is the mass percentage of a solution prepared by dissolving 15.1 g of sucrose, granulated sugar, in 500.0 mL of water? Assume a density of 1.00 g/mL for water. A doctor orders 0.070 g of chlorpromazine, which is used to treat schizophrenia. If the stock solution is 2.0% (m/v), how many millilitres are administered to the patient? Express your answer to two significant figures and include the appropriate units. The molecular weight of ethanol (C2H5OH) is 46.1 and the density of absolute (100%) ethanol = 0.79 g/mL.During a romantic candlelight dinner a 75 kg person drinks a bottle (750 mL) of wine in the space of 3 hours. Ethanol is metabolized at a constant rate of 120 mg per hour per kg body weight, regardless of its concentration. A 75 kg person contains about 40 L of ‘water’. Ignore the metabolism, and assume the water content of the person remains constant.a)What is their blood alcohol content (mg/100 mL blood) at the end of the dinner? b)How long will it take for their blood alcohol level to fall below the legal limit of 50mg of ethanol per 100mL of blood (0.05%)? How many grams of CaCl2 are needed to make 635.3 g of a solution that is 35.5% (mm) calcium chloride in water? Note that mass is not technically the same thing as weight, but 96(m/m) has the same meaning as % (w/w). How many grams of water are needed to make this solution? Calculate the percent by mass of C in pentaerythritol (C(CH 2OH)4) Express your answer as a percentage. The mass of solute per 100 mL of solution is abbreviated as (m/v). Mass is not technically the same thing as weight, but the abbreviation (w/v) is also common. How many grams of sucrose are needed to make 685 mL of a 31.0% (w/v) sucrose solution? How many grams of a 18.5% sugar solution contain 74.5 g of sugar? A phosphorus compound that contains 13.07% phosphorus by mass has the formula X3P2. Identify the element X. Express your answer as a chemical symbol. Enter your answer in the provided box.A chemical engineer determines the mass percent of iron in an ore sample by converting the Fe to Fe2+ in acid and then titrating the Fe 2+ with MnO4-. A 1.4771-g sample was dissolved in acid and then titrated with 31.38 mL of 0.0194M KMnO4. The balanced equation is 8H+(aq) + 5Fe2+(aq) + MnO4-(aq) → 5Fe3+(aq) + Mn2+(aq) + 4H2O(l) Calculate the mass percent of iron in the ore.
A student heated a 2.488 g sample of a hydrated iron chloride. After heating, the anhydrous iron chloride had a mass of 1.588 g. Calculate the percentage by mass of water in the hydrated compound. The compound XCl4 contains 74.8% Cl by mass.What is the element X? Calculate the percent by mass of O in pentaerythritol (C(CH2OH)4. Express your answer as a percentage. A compound contains 47.08% carbon, 6.59% hydrogen, and 46.33% chlorine by mass; the molar mass of the compound is 153 g/mol. What are the empirical and molecular formulas of the compound?